The Future Group, a creative services company based in Norway, is converging the real and virtual worlds of digital productions with a powerful new software suite called Pixotope. Running on commodity hardware, the graphics suite promises to be a game changer. In a conference call, company executives Halvor Vislie, CEO and CCO, Mike Grieve, Chief describe the software suite's key features. Combining 3D, VR, AR and data technology, the software has been created as a fascinating 2nd generation live virtual production system. 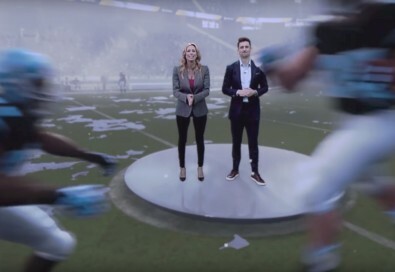 Viewers of Super Bowl LIII, saw Pixotope being used extensively during the game’s spectacular opening sequence. The company says components of the show's opening graphics were composited live and not pre-rendered. The Broadcast Bridge has already examined how IMR (Immersive Mixed Reality) technology can be used. In addition to the excerpts seen in the video at the top of this story, the article, The Weather Channel Gives Us a Football Forecast in Advanced IMR, reviewed how the WC used the technology to illustrate how changing weather can affect the outcome of a major football game. The weathercaster has been producing such content with an earlier version of the software, called Frontier, which was launched two years ago. The Weather Channel used Frontier to create a video showing how weather can affect football games. Click to enlarge. Now, in the run up to this year's NAB show, The Future Group is debuting their second generation of this software. Running the Unreal Engine's rendering power natively... Click to enlarge. ...gives clean motion-tracked VR composites. Click to enlarge. “First, we chose the Unreal Engine from Epic Games as our rendering platform to create our photo-realistic real-time graphics,” he began. The center of the system is the Pixotope Director, which oversees the user configuration of the system. Director is built on top of an extremely low-latency data bus, called Pixotope DataHub. “The DataHub is where we connect everything from data sources to multiple camera configurations, including MOS (Media Object Server) workflows, custom control panels, DMX light control and GPI,” Grieve said. Also integral to the Director is the Controller, where graphics operators design and automatically generate custom control panels that can run inside browsers on any device. The CG is called Text3D and uses simple slider control to fly logos and text. 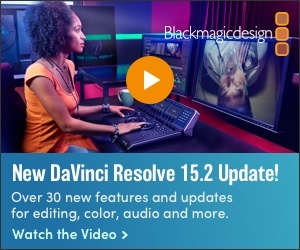 Currently this is a keyed layer on top of the graphics, but at NAB 2019 Grieves says it will be shown as a 3D text generator within a virtual set. The system provides a best-in-class chroma keyer using a new 3D algorithm. All of the keyer’s real-time features can be controlled through a user-friendly remote GUI. “Then we also have something unique called the Studio Creator, which is a procedural tool,” said Grieves. “We’ve heard from broadcasters that creating a virtual set from scratch complete with lighting sources can be pretty complex. Mo-Sys is just one of the tracking systems Pixotope can reference. Click to enlarge. The last module is the Tracking Server that takes the tracking data from popular camera tracking systems and distributes it back to all the cameras so that their virtual feed matches the pseudo real-world environment for that particular camera and lens. As displayed in the Super Bowl LlII opening, the process enables an operator to cut seamlessly between the AR cameras. One Pixotope subscription can be purchased for $2,500 per month per camera.